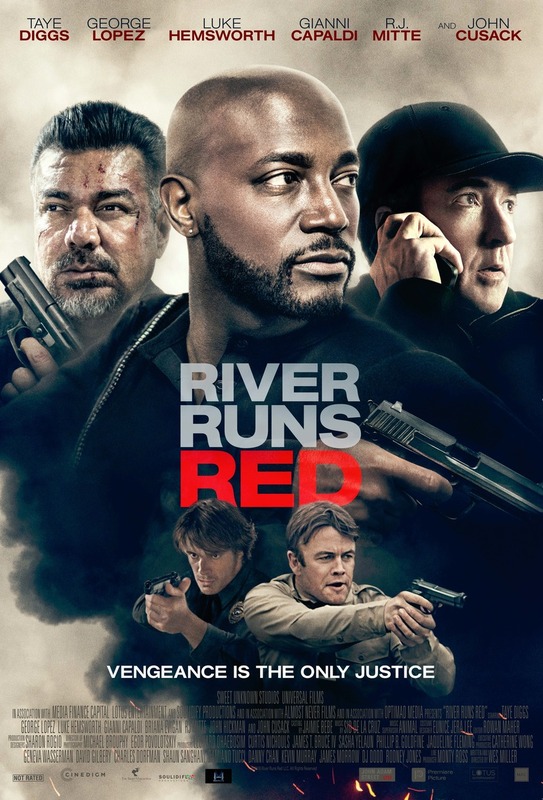 River Runs Red DVD release date was set for December 11, 2018 and available on Digital HD from Amazon Video and iTunes on November 9, 2018. Police officers Von and Rory are cleared of all wrongdoing and set free after killing Judge Charles Coleman's son on the same day that he was about to start his studies at a law enforcement academy. Coleman knows well that mistakes can happen at any time on the job, but mystery surrounds his son's death. After a trusted detective named Horace finds incriminating information about Von and Rory, Coleman finds himself struggling to determine if the courts have failed his family. He then learns about another father, Javier, who's grieving for the loss of a child. The two men, tired together in their need for justice, decide to show Von and Rory the cost of breaking the law.